Verizon Wireless customers have been awash with new top-end smartphones this year, but choosing between the devices can be a difficult task. In this battle of Thunderbolt vs Revolution, while the devices are generally similar, there are a few important differences that you should be aware of when you go to decide between them. HTC and LG pulled out all the stops to pack these two high-end 4G LTE devices with all the features you could want in a smartphone, but will a few small decisions on the part of the manufacturer give one device the edge over the other? Read on to find out. In a decision between the Thunderbolt vs Revolution, the device’s design is probably going to be the least contested category. Both the devices have the fairly standard Android design, with a large touchscreen dominating the front of the device, and a few additional buttons located underneath the screen. At 5.03 x 2.63 x 0.52 inches, the Revolution is a little bit bigger than the 4.75 x 2.44 x 0.56 Thunderbolt. 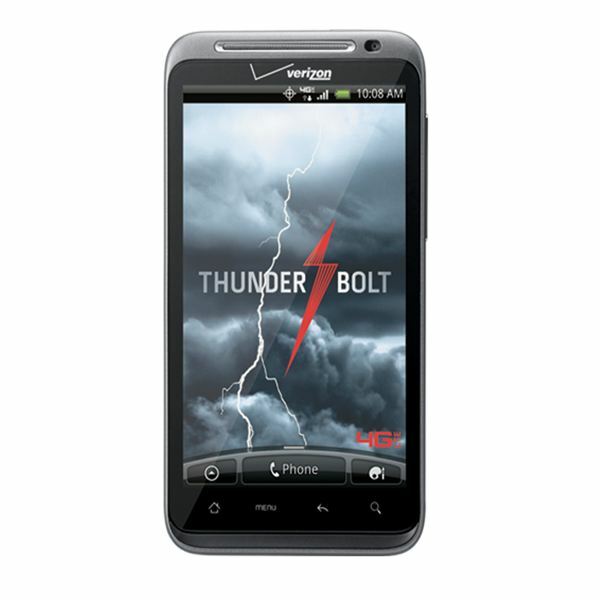 However, the Thunderbolt is slightly heavier, at 6.23 ounces compared to 6.06 ounces. 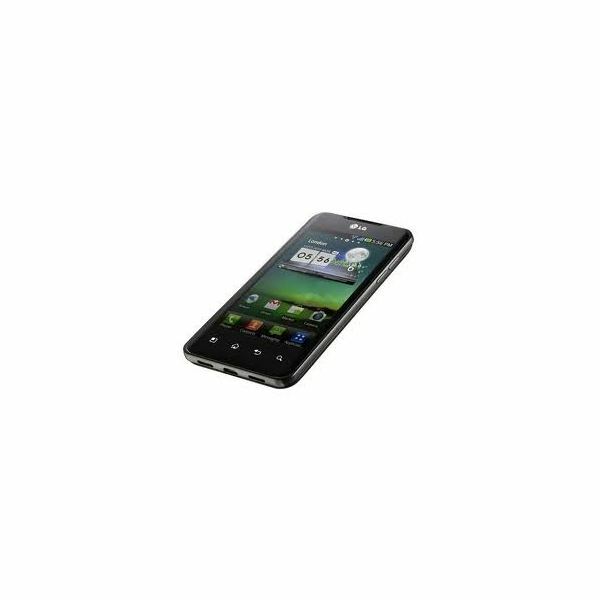 Both devices feature a 4.3-inch 800 x 480 capacitive touch screen. Both touch screens are a small step down from the best LCDs currently on the market, but for most uses you will not notice the difference. Both LCDs perform well in low-light conditions, and decent in bright conditions. In numerous tests I failed to notice a discernable difference between the displays. Both devices appear to be solidly built, and both have a soft material covering the back so that the device stays in your hand instead of flying across the room. The back of the Thunderbolt does include a metal kickstand, so you can prop the device up to watch movies. The two devices don’t have much in the way of design differences, but with a smaller frame, greater heft and the inventive kickstand, the HTC Thunderbolt will take this category. Both devices run the Android 2.2 user interface, which is a shame considering how old it is (but that’s a complaint for another time), so there is little difference to the underlying operation of the devices. However, both LG and HTC have included their own overlays to the OS, giving each of the devices a different feel. 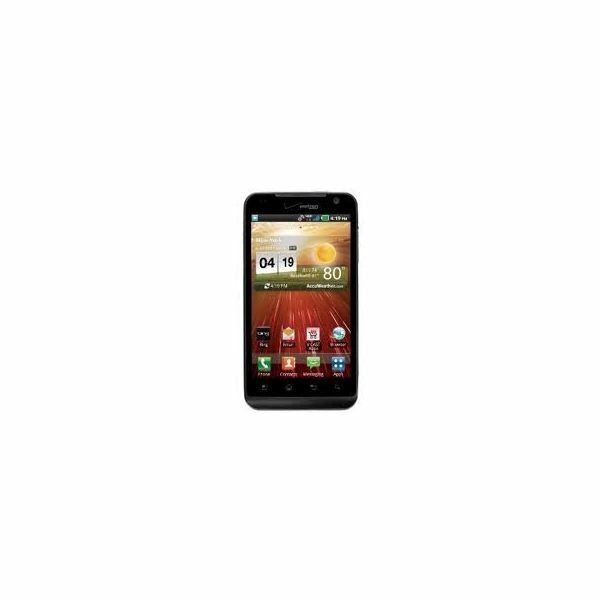 Both the HTC Sense and LG Optimus overlays feature a number of home screens that you can customize. 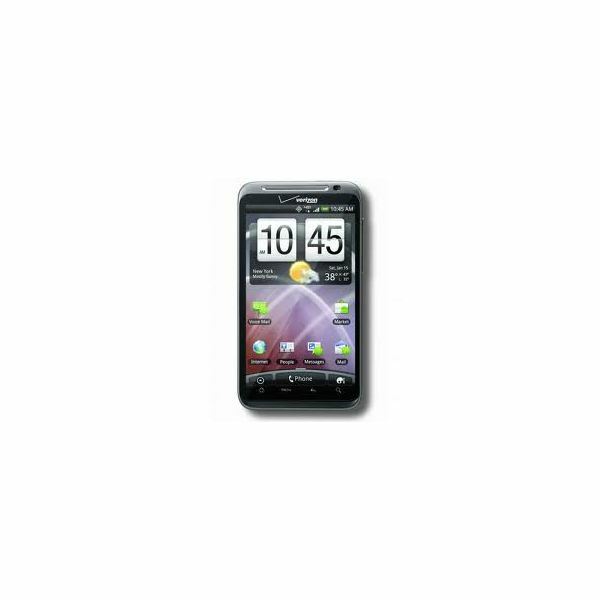 The HTC offering does seem to flow a little smoother between the screens and offers the better method of moving to a desired screen. HTC Sense also takes the crown in widget appearance and utility, although the LG widgets are fairly good as well. Both devices have a strong “Friends” widget. The Optimus overlay sets itself apart in two ways. First, the In Touch widget gives you quick access to all your media, allowing you to look through your music, movies and image collection from the home screen. The LG device also arranges the main application list into categories that you can minimize. This feature is perfect for those of us who are too lazy to move apps to the home screens, and who download and delete dozens of apps each day. I’ve been a fan of the Sense UI for a long time, but I’m going to give this category to the LG Revolution. The latest Sense update included some performance enhancements, but the overall UI doesn’t offer the functionality that the Optimus UI can. Granted, if appearance and widgets are extremely important to you, this category can easily go the other way. The real battle of Thunderbolt vs Revolution will come down to the available features and the device performance. Looking at the features, the dual cameras on the devices are as good a place to start as any. The Thunderbolt has an 8 MP camera while the Revolution has just a 5 MP. Now, in general, once you get above 3 MP on a camera phone the amount of megapixels becomes pointless. While this is certainly still the case here, in my opinion, the Thunderbolt camera takes better looking images and video. The difference isn’t staggering, but I feel that the HTC device takes images with slightly brighter colors and sharper images. Both devices have low-quality 1.3 MP front-facing cameras for video chatting. Like all Verizon devices, both of these come with some ridiculous bloatware, but the Revolution loses big here. Verizon and Microsoft have teamed up on several devices to force users to use Bing search and maps instead of Google. Even if you like Bing better, this isn’t the kind of thing that a company should decide for you. I’m fine with including Bing on top of Google, but forcing people to use Bing search is not right. You can still download and use Google maps. Both devices can use DLNA technology to stream video OTA to other DLNA devices, but only the Revolution includes an HDMI port on the side of the device, a big plus for anyone who wants to watch videos from the device on a TV. The Thunderbolt comes with 8 GB of internal memory and a 32 GB memory card while the Revolution comes with 16 GB of internal memory and a 16 GB memory card. While the extra 8 GB of internal memory is nice, since Android devices can handle apps on a memory card with ease, the extra 8 GB of overall memory gives the Thunderbolt the edge. While there isn’t a huge edge here, unless you know you will be using the HDMI port, the Thunderbolt will win this category. With the HTC device taking a small edge in design and features, and the LG device taking the UI category, the battle of Thunderbolt vs Revolution will come down to performance. Both devices have a 1 GHz Snapdragon processor, which is unfortunately less than the dual-core processors available on some devices. The Thunderbolt does have a slight RAM advantage, with 768 MB compared to 512 MB, and it shows in the performance of the device. Both of these devices are fast, but I did experience fewer instances of lag with the Thunderbolt. Of course, individual devices can be finicky, and perhaps my Revolution was having a bad day, but there was a considerable difference here for me. The battery life wasn’t amazing on either device, although the Revolution does have a battery with a slightly larger capacity. The inability to switch between 3G and 4G causes a lot of the battery drain (an issue that is supposedly getting fixed soon for the Thunderbolt). Additionally, if you use the mobile hotspot feature, expect to have to charge these devices often. Call quality was excellent on both devices, with the only sore spot being the Thunderbolt’s speaker which gets a little muffled by the kickstand. 4G LTE speeds are excellent on both devices, with no discernable difference in browsing or download speeds. 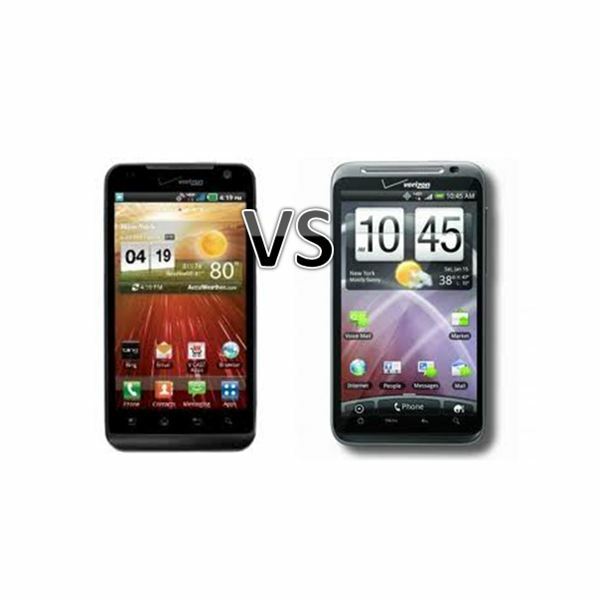 The battle of Thunderbolt vs Revolution began with the knowledge that the result was going to be a razor-thin victory, as both of these smartphones are excellent Android devices. You really can’t go wrong by purchasing either phone, and I can't stress that point enough. 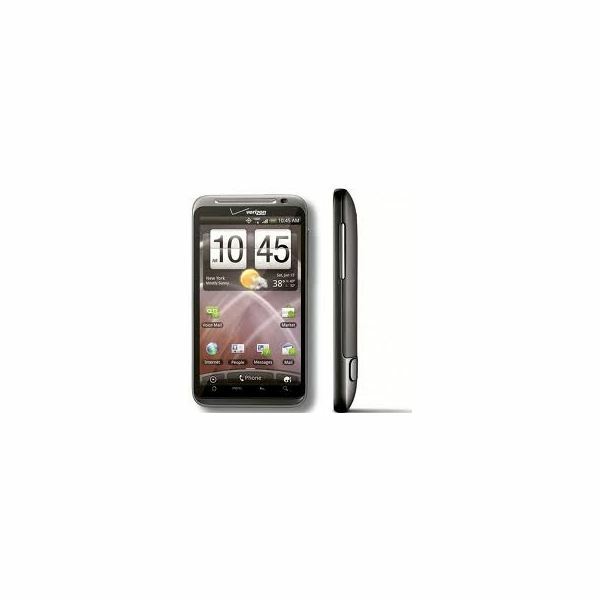 In the end, with both devices costing the same amount of money, I would give the edge to the HTC Thunderbolt. LG impressed me with some interesting tweaks to the UI, and the HDMI port may be a make-or-break addition for some people, but on the whole I feel that the Thunderbolt is simply a stronger device. All Images from the vendor websites, VS image created by the author.